One of the things about general Sri Lankan households is that, if you were to want a laundry room dedicate for all your laundry needs, complete with a washer and dryer, a lot of people may respond to you thinking you are mad! But, you aren’t at all, because there is something serene about wanting a space for everything, and if you are one of those people who does not want to double up kitchen as your laundry area or your bedroom as the ironing station, then having an ironing and laundry room for your home is completely reasonable. 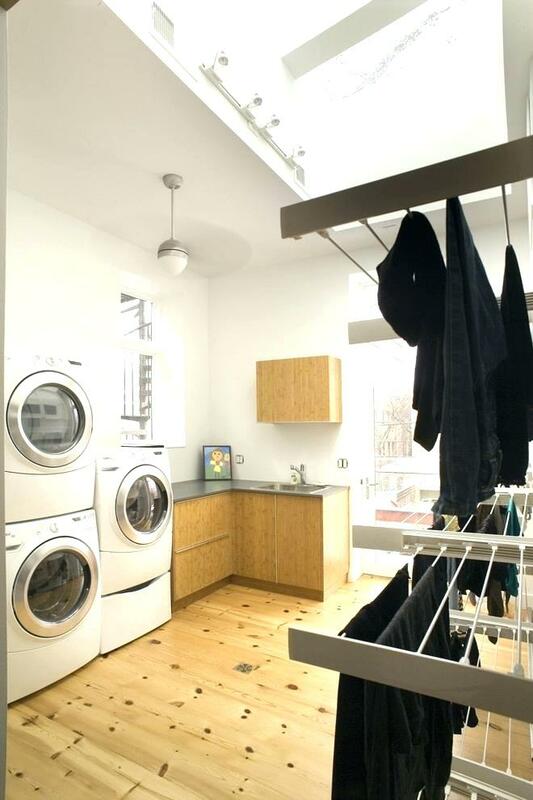 If you have the space to squeeze in an ironing and laundry room for your home, then go for it. Here are the basics! In Sri Lanka, the most popular option of washing machines are of the top-loading variety. However, the tumble-drum, front-loading washing machines are an ideal option if you are opting to also invest in a dryer for when the monsoon seasons hit and drying outside in the hot sun isn’t a viable option. 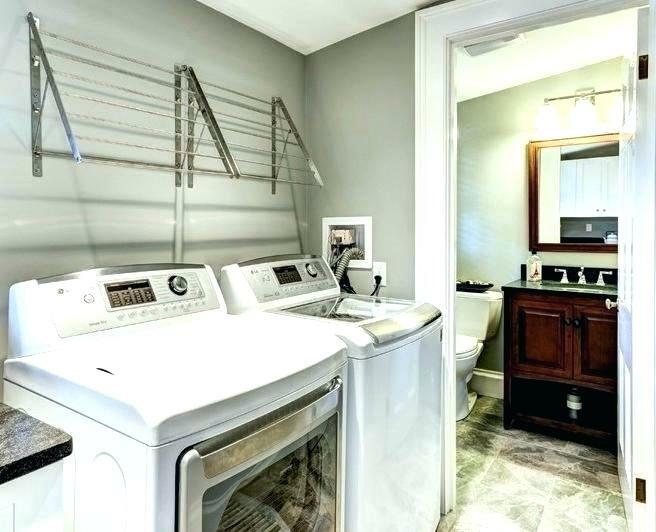 Furthermore, if you do have enough space to include a washing machine and a dryer side-by-side, then then you can opt to choose either way. 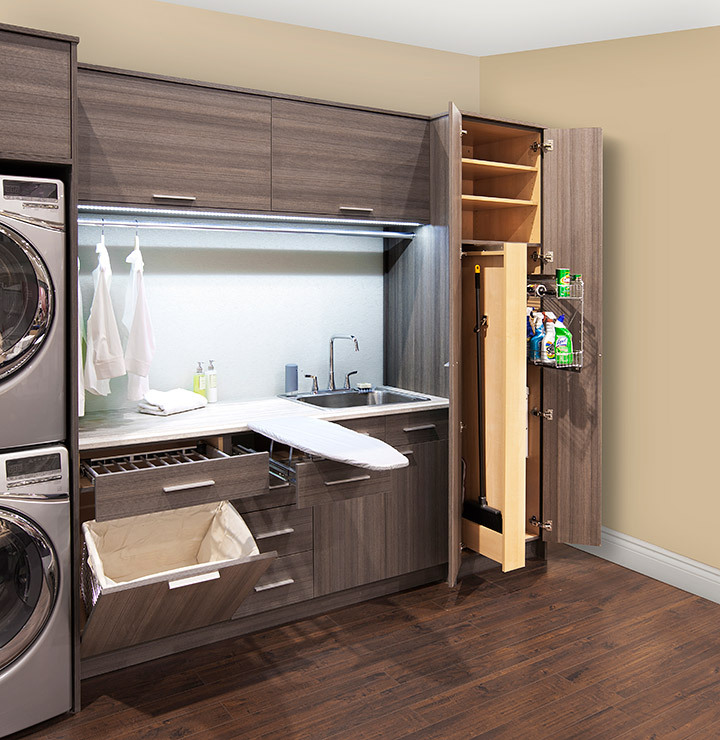 However, if space is limited, then you can choose a front-loading washing machine that allows for stacking of a dryer and vice versa. Now, a dryer isn’t a very popular option in Sri Lanka, due to its higher price point and of course, most people rely on the sun and means of keeping the electricity bill low. However, if you have your sights on a dryer, then you can opt to have it next to the washing machine, or stacked on top of the washing machine to maximise on space. 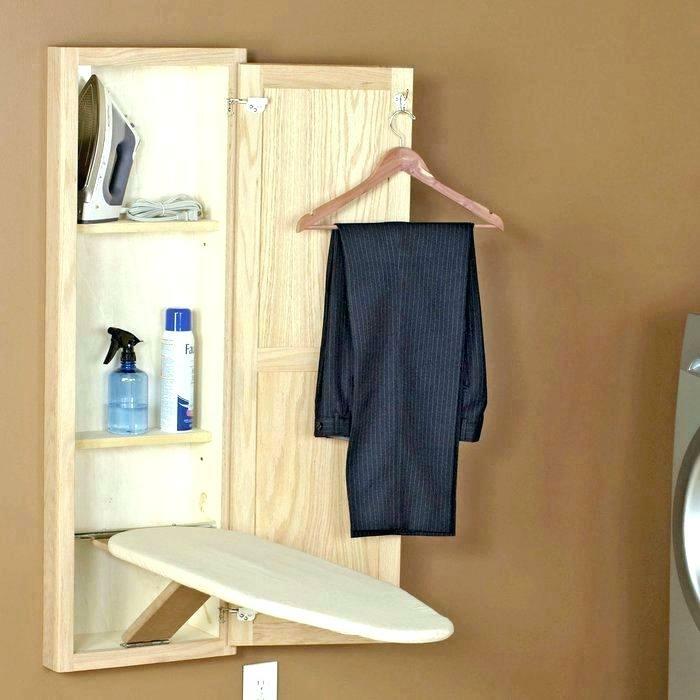 Of course, there is also the drying rack, line or foldable clothing shelves instead of a dryer machine. There are many types and options, from the wooden framed clothing racks that can be folded and put away, and its plastic & aluminium counterpart. 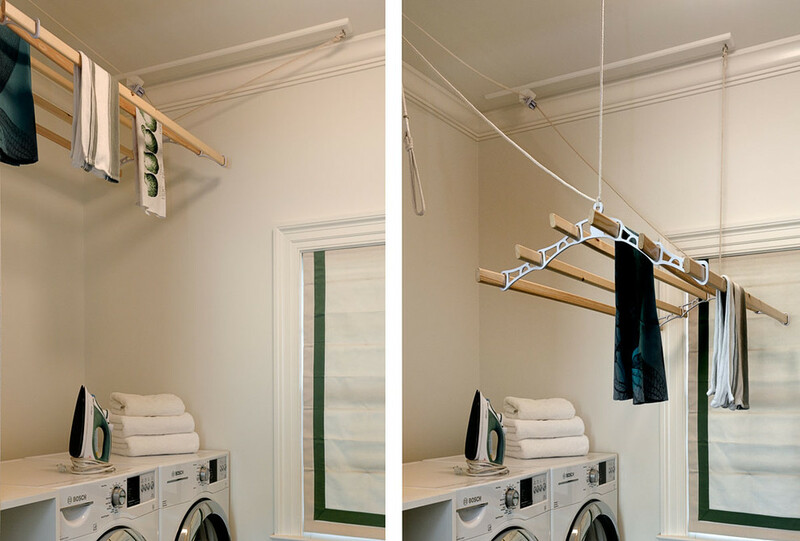 There are the retractable drying racks that can be fixed onto a wall in various configurations. Of course, the last entity of doing laundry would be ironing and putting them away. Thus, the ironing station comes in. 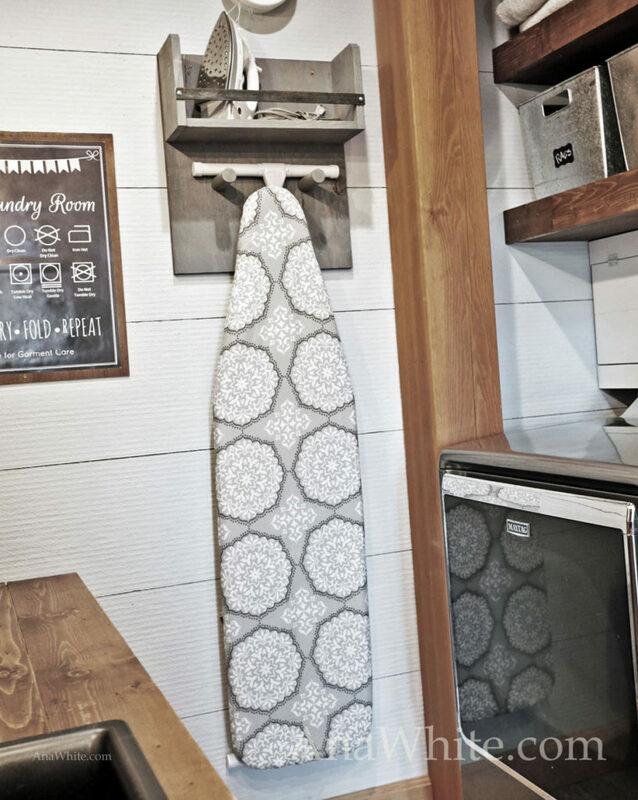 If you have an ironing board and iron, but you are using one of your rooms (be it the bedroom, kitchen or living) to do your ironing, then why not move it all into the intended space; Ironing and Laundry Room. You can have an allocated space for your ironing board (either to hang or as part of the solution) and even space to put away your iron. 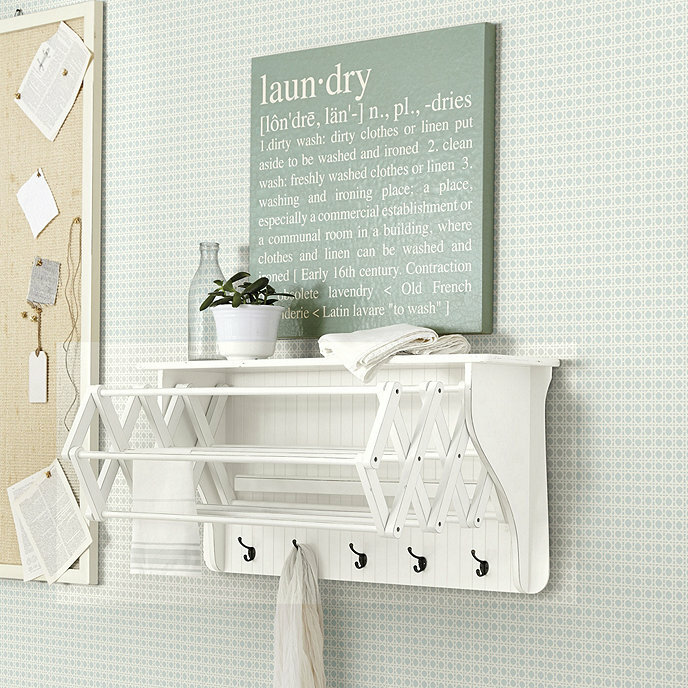 Here are some inspirations for your ironing and laundry room for your home.